If you or a loved one has suffered personal injuries in a Miami Gardens shooting accident, there are two things to do. First, you need to take care of your physical injuries that require urgent medical help. Second, you need to call an experienced Miami Gardens shooting injury attorney to help you get the compensation that you deserve. You should know that being involved in a shooting always changes lives of the victims and their loved ones. In the best-case scenario, you'll spend some time at the emergency room or a doctor's office. But, in the worst-case scenario, you'll end up severely injured, and your physical and emotional recovery will take a significant amount of time. Sometimes victims face disabilities. Others suffer wrongful deaths. A shooting victim may never recover, but they may be able to be compensated for their injuries and losses. 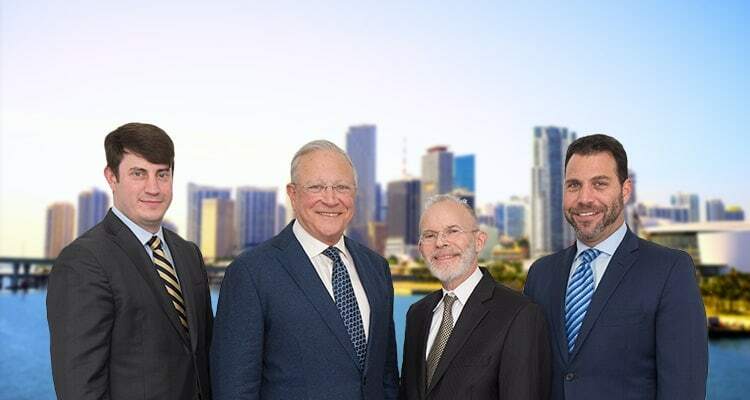 Our Miami Gardens shooting injury attorneys at the Gerson & Schwartz serve individuals from Miami Gardens pursue justice and fair compensation that they may be entitled to depending on the circumstances of the Miami Gardens shooting. Call us for free consultations at (305) 371-6000. We will talk about your case and help you determine if you are entitled to compensation. You can also understand the possible roads to recovery. We won’t ask you for any fees until we get you compensated. Shooting accidents end up with very serious consequences, and often it can result in death. You, as a crime victim, or as a survivor upon a wrongful death of a loved one, have the right to claim damages for your injuries. You can claim them from the offender, but that’s not recommendable. Offenders rarely pay anything because they rarely have money, if they get caught at all. If the shooting has occurred at premises of a commercial establishment such as an adult entertainment bar, convenience store, bank or gas station, they may be legally responsible to pay you for your losses. Florida premises liability laws oblige commercial institution to reasonably protect their visitors from foreseeable harm. If they breach that duty due to negligence, then they may be liable for the incident and resulting injuries or wrongful death. If none of these options is likely to help you obtain compensation, you may be able to recover some of your economic losses from the Florida Bureau for Victim Compensation. If you meet the legally set requirements, you may be able to get some compensation for medical bills and/or lost wages. There is a lot of paperwork to be done but compensation is possible. We at Gerson & Schwartz lawyers help victims injured in Miami Gardens recover damages in the last 40 plus years. Our Miami Gardens shooting injury lawyers are at your service for free consultations at (305) 371-6000. Call us now, and we will let you know how you may be compensated for your lost earnings, medical bills, loss of financial support and funeral costs in case of a wrongful death, and other shooting injury-related damages. We handle cases on a contingency basis, which means that we don't ask for fees unless we recover for you.